Code 95992 has some very limited payer payment guidelines which need to be understood for proper reimbursement. Many payer policies consider this service bundled with Evaluation and Management Services, therefore, it would not be separately payable if there was an E/M service performed on the same date. Some providers have reported having trouble with reimbursement if the service was performed by a different provider than the one who performed the E/M service on that day; so be aware of individual payer coverage rules. 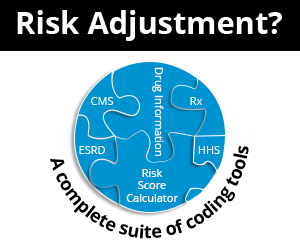 There are some indications that Medicare might pay for this code if performed by an physical therapist, but there isn't much guidance beyond that. Since it is considered a physical therapy service, it would be necessary to bill it with modifier GP. However, that does not guarantee that there will be coverage or a separate payment. Vertigo can be a symptom of many other conditions. Therefore, most payers want to see a diagnosis of H81.1- "Benign paroxysmal positional vertigo" on the claim, linking it to this service. Most will deny the claim with the diagnosis of other types of vertigo. Other diagnoses might be covered, but that would be determined on an individual basis and most likely require an appeal with medical record documentation clearly establishing medical necessity. Coverage is often limited to certain provider types - for example, Medicare expects a physical therapist to perform the service. However, some other payers have indicated that other provider types are also acceptable. It should be noted that there are Medicare Allowed Amounts for this code (see the [Fees] bar/section following the 95992 code listing on Find-A-Code). Also available in the [Fees] section are other payer fees (e.g., Workers Compensation, UCR) which can be reviewed to determine an appropriate fee for this service.